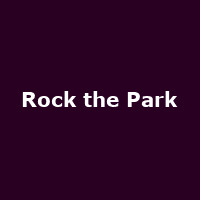 Rock the Park is a Tribute Festival based in Wrexham and established in 2017. The 2018 tribute line-up includes: Hi-On-Maiden, Badness, Green Date, Hysteria (Def Leppard tribute), Whitesnake UK, Nirvana UK, Her-Osmith, Kazabian, Wrong Jovi, Chasing Mumford, Black Rose (Thin Lizzy tribute), Motorheadache, The Phonics and more. The Friday night (non-tributes), features: Ultrabeat, Andy Whitby, K-Klass, Karen Parry (Flip n Fill), Kelly Llorenna, DJ Kuta and more.